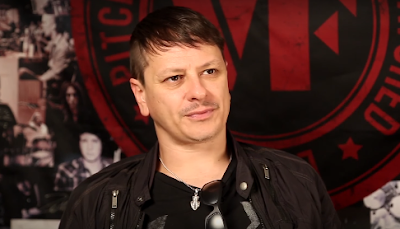 Korn drummer Ray Luzier was recently interviewed by Cat With Hats at NAMM 2016, you can read some excerpts below. About his new signature drumsticks, he said: "Going back to my days in high school, Vic Firth was the brand of sticks I most respected due to the unsurpassed quality that they offered. My favorite two models were the 5B and Rock, so when I was able to design my own signature model, blending those two models was the way to go. It's the perfect stick for me." He added: "Drumsticks are the tools we place in our hands and they must be perfect. I play hard in the bands that I work in, so I need a strong stick that will stand up to my style of playing while still feeling great in my hands. Give them a try. You'll see and hear what I mean." Luzier's Vic Firth signature model drumstick is able project in hard and heavy musical situations while still feeling comfortable and not fatiguing the player.